Packaging is EVERYTHING | THECLARISSAB ETC. So many exciting things are happening right now: I’m starting a new (non retail) job in a couple weeks, I have some freelance projects in the works and (drumroll)…. Now some of you may be thinking okay….so? Let me clue you in. When it comes to the creative industry, your brand identity and how you present yourself as a business is extremely important. This is how clients recognize and differentiate you from other brands. I am currently working on creating a package for my photography clients. Presentation is everything and I want a tasteful and effective way to deliver my product to my clients. While I am still brainstorming ideas, I thought I’d share the beginnings of my process. 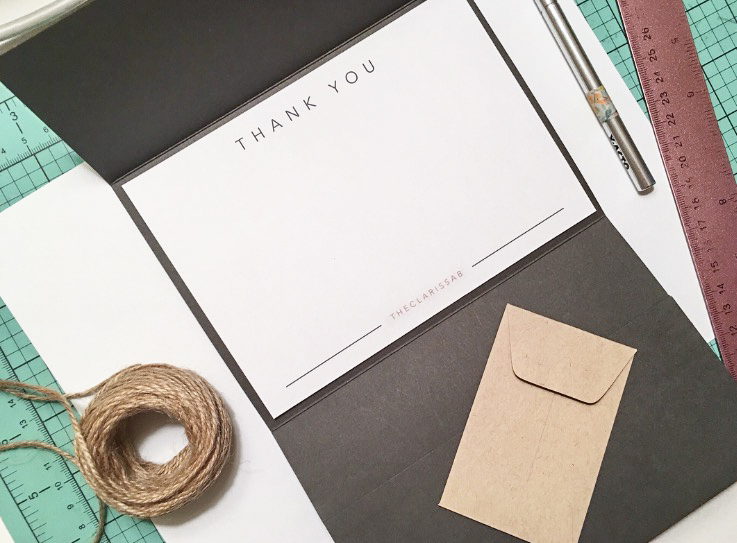 Paper Source has been extremely helpful in providing me with the best product to create packaging that is unique to my business. I am all about the diy life and am excited to get these out to my clients. Book a full session with me and you’ll receive a cute little package! I’ll be sure to share the final product when it is ready. Follow me on instagram @theclarissab to keep up with my latest projects! I love your blog Clarissa! Great job!! !